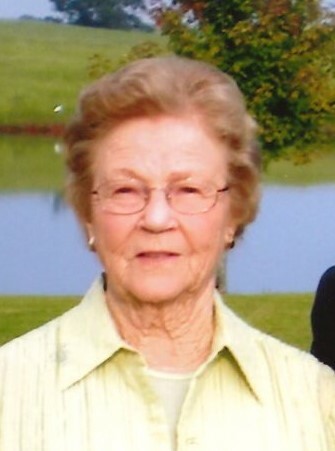 Hazel Locklar Brown, 86, of Smith Station, AL passed away on Tuesday, November 27, 2018 at her home. A funeral will be held at 12:00 on Friday, November 30, 2018 at Vance Brook Funeral Home in Phenix City with Rev. David Kees officiating. The burial will follow at Ft. Mitchell National Cemetery. The family will receive friends on Thursday from 5-7 at the funeral home. Hazel was born December 25, 1931 in Pike County, AL to the late Hubert and Allevia Thompson Locklar. She was a loving and devoted wife and mother. Mrs. Brown worked for Sunshine Biscuit for over 35 years before retiring. She was also an active member of Smith Station Baptist Church. Other than her parents, she was preceded in death by two brothers, Vernon Locklar and Virgil “Red” Locklar. She is survived by her husband of nearly 70 years, Lex Edward Brown; two sons, Ben Brown and wife Sandra and Steve Brown and wife Michelle; one sister, Helen Locklar Covington; 4 grandchildren, Eric Brown, Stuart Brown and wife Sara, Rebecca Brown and Lori Ashley Brown; 3 great-grandchildren; many extended family members and many caring friends. Flowers are welcome or contributions may be made to the Smith Station Baptist Church, 2460 Co Rd 430, Smiths Station, AL 36877 or Alzheimer’s research at https://act.alz.org/site/Donation2.